A Nice Companion To "King of Kong"
When it comes to documentaries about old-time video gaming, "King of Kong: A Fistful of Quarters" is still the standard against which all others are measured. However, "Chasing Ghosts" serves as a nice little companion piece to "Kong" by explaining more of the history behind how the "Twin Galaxies" arcade helped video games "go national". For a basic plot summary, "Chasing Ghosts" gives some background information on Twin Galaxies arcade by primarily focusing on the participants in the big video game championship in Iowa in 1982. Billy Mitchell (the "villain" from "King of Kong") is (of course) in on the action again, but this time surrounded by many other formidable arcade-style gaming champions who were truly the first of their kind back in the early 1980s. For anyone who has ever experienced the thrill of playing a video game, this documentary gives some history as to how the industry became the billion-dollar mega-giant it has morphed into today. The arcades were a HUGE part of that success, with Twin Galaxies being the first arcade to recognize national champions, and "Chasing Ghosts" tells that story. Be warned, however, that if you aren't "into" gaming at all then this is one you should probably stay away from, as without an appreciation of the industry all these guys will seem like complete losers, idiots, selfish jerks, or worse. Some of them may very well fit those descriptions, but only gamers can appreciate their extreme skill in such a specific area. 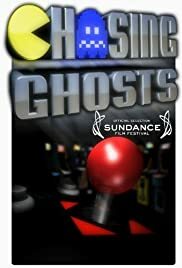 Overall, then, "Chasing Ghosts" should be watched right after "King of Kong" for some more background information on the "Arcade Wars" of the early 1980s. 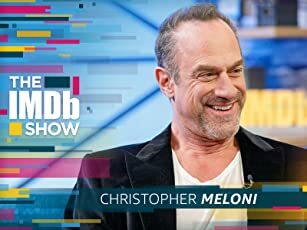 It doesn't have the gripping drama of "Kong", but it is at times informative, funny, and interesting.